This fair is free and exclusively for current UIC students and alumni. Free for UIC students and alumni. This career fair will host employers from various industries. 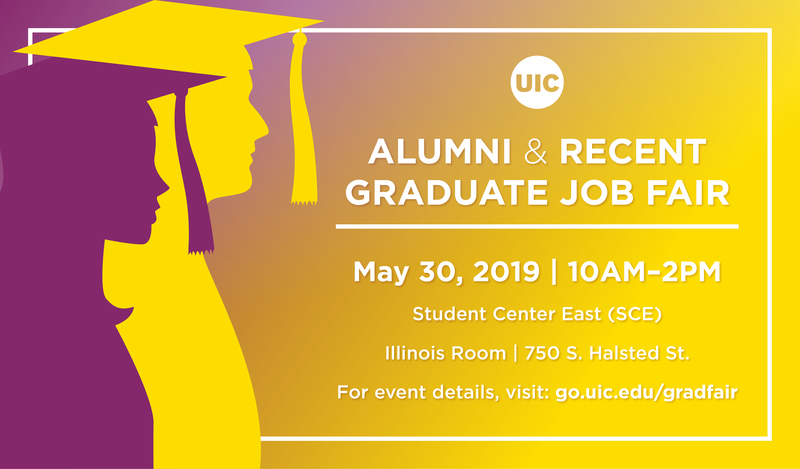 The fair is open to current UIC students, recent graduates, and alumni of all and any majors/degrees and will offer full- and part-time employment and internship opportunities.